LEARN MORE ABOUT OUR ADVERTISERS NOW - FREE! 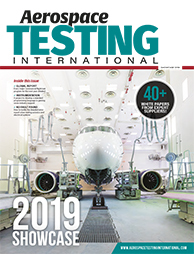 Aerospace Testing International, launched in July 2002, is published quarterly to a global fully registered audience of aerospace testing, evaluation and inspection professionals. Coverage embraces the very latest news, features, industry interviews and in-depth technology profiles on available/developing technology and solutions, plus specialist services for the aerospace testing community. Editorial encompasses developments for research and development, test and evaluation, flight testing and certification, production/assembly testing and quality management, operational test and evaluation (OT&E), maintenance engineering test and inspection. From the team that publishes Aerospace Testing International comes this digital portal providing the latest aerospace test industry news. The website includes exclusive articles, weekly news updates, all the important events, global aerospace jobs on offer, supplier directories, avionic company information, and unique online access to the very latest edition of Aerospace Testing International magazine. Aerospace Testing Annual Showcase is a new academic publication, entirely aimed at the core of the aerospace testing industry: the expert. It has a scientific focus right at the high end of the latest developments in aerospace testing, in which the people at the front line can share experience with the global industry, and read about the latest testing technologies, systems, and programs. 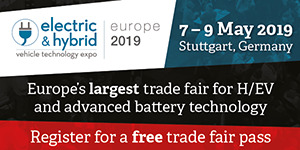 The Annual Showcase features exclusive papers and articles from the very heart of the testing industry describing in detail, across a broad international base, the latest research, development, methods and science behind the technologies. Air Traffic Technology International is respected as the industry’s leading review for the comprehensive exchange of the latest ideas and information. It is the established showcase for the latest and most innovative ATC technologies, products, services, simulation and training. 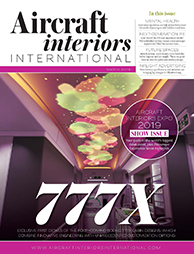 Aircraft Interiors International enjoys international acclaim as the best, most readable quarterly magazine ever produced on the latest trends and developments in aircraft interior design, cabin brand development and completion. The magazine has been shortlisted for numerous publishing industry awards, including: the ‘Best Designed Business-to-Business Magazine of the Year’ at the Total Publishing Awards 2001, the same category at the Magazine Design Awards 2003, and the ‘International Business & Professional Magazine of the Year’ at the PPA Awards for Editorial and Publishing Excellence in 2004. The world’s most celebrated and respected magazine dedicated to aircraft interior design and technology goes digital! The website provides global news, industry opinions, the latest recruitment listings and individual supplier spotlights, plus online access to a digital version of the latest issue of the magazine. An online archive provides a vital resource to research the latest industry trends, product launches and hot topics across the sector. The Aircraft Interiors International Annual Showcase draws together expert contributions and case studies from the aircraft interior industry's leading design firms and specialist suppliers of components and materials. A strong focus on cutting-edge design and innovation provides aircraft manufacturer and airline departments worldwide with vital information on the latest trends, technologies, challenges and opportunities shaping the future cabin environment and passenger experience. 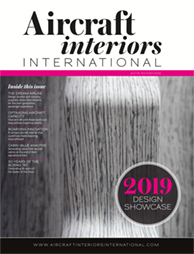 The publication is distributed at every event the Aircraft Interiors International team attends throughout the year, while a digital version of the publication is also available on our website for a full year. 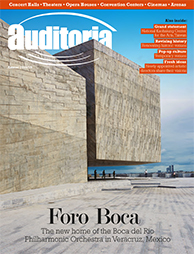 Auditoria annual is circulated to 12,000 readers worldwide, bringing together the views and ideas of leading experts in the area of entertainment-venue design, operations and technologies. Auditoria caters to those in the business of operating theatres and performing arts centres, concert halls, convention centres and cinemas, covering subject areas ranging from security and ticketing, to seating and lighting. Automotive Interiors World is the industry’s premier publication, with detailed content, stunning photography, and an excellent sense of style in an easy-to-read format. The magazine is a one-off celebration of automotive interiors that will express current and future technologies, next-generation design concepts, key industry trends and developments. Packed full of interviews, manufacturing case studies, technical innovations, and the latest new products and services from suppliers, the magazine provides instant access to the latest thoughts and developments in materials, comfort, electronics, testing and development, infotainment, concepts, and interior technologies. 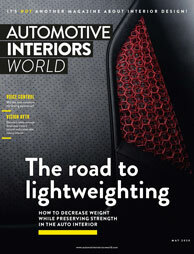 Automotive Interiors World is distributed to a carefully targeted circulation spanning over 50 countries worldwide with 12,000+ copies sent free of charge to chief designers and engineers, product directors, brand managers, purchasing directors, project coordinators, consultants and senior level decision makers within the world’s Automotive OEMs and Tier 1 companies. Like the magazine? You'll enjoy the show! Automotive Testing Technology International was launched in 1998 as a quarterly review of the very latest research and developments within the area of automotive test and evaluation. 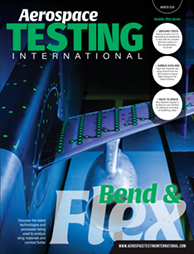 With a worldwide circulation of over 15,000, Automotive Testing Technology International has become the leading and most respected magazine covering breaking stories in the fields of vehicle reliability, durability, safety, quality, NVH, and dynamics testing and evaluation. 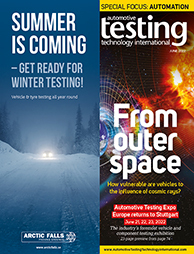 The world’s leading vehicle test and development magazine, Automotive Testing Technology International, is now available online! This website is an essential bookmark for automotive engineers, featuring the latest industry news, exclusive content, global automotive job vacancies, events listings, supplier directories and online access to the latest edition of Automotive Testing Technology International magazine. 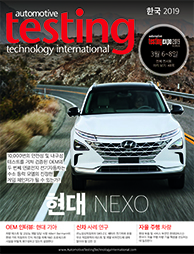 Automotive Testing Technology International, which was launched in 1998 as a quarterly review of the very latest research and developments within the area of automotive test and evaluation, released its first annual edition in the Korean language is available from 2014. The special issue includes a mix of new car programs, interviews with key test engineers and features on market trends, alongside expert white papers on new testing technologies and approaches. Autonomous Vehicle International features nothing but the latest and next-generation thinking and technologies for driverless vehicles. From cars to trucks, Autonomous Vehicle International is produced twice a year by UKi Media & Events, one of the world’s leading advanced transportation publishing houses and the company behind Autonomous Vehicle Technology World Expo. Regular e-news updates are also distributed the moment a story breaks. From roadside technologies and infrastructure to regulations and specific driverless vehicle components, Autonomous Vehicle International is a must-read for anyone involved in autonomous vehicles. Autonomous Vehicle International is now available online! 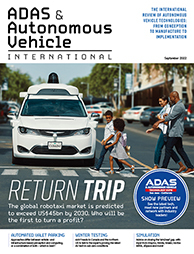 This website is an essential bookmark for those working in driverless vehicle development, featuring the latest industry news, exclusive content, global job vacancies, events listings and online access to the latest edition of Autonomous Vehicle International. Launched in early 2010 to worldwide industry acclaim, Business Airport International has already established itself as the must-read destination reference book for the world’s executive jet operators. Each issue is circulated to over 10,000 key decision makers at the world’s private charter airlines, and to operators of corporate fleets. Those general aviation airports, FBOs and associated service providers that have been featured in the first issues of the publication have benefited from the vast number of leads generated through our reader enquiry service. Launched in 2007, Business Jet Interiors International is dedicated to the world of VIP, private charter and business aircraft cabin design, completions and technology. 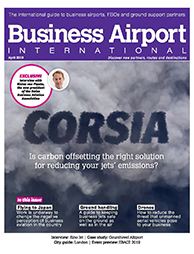 Published by the team behind Aircraft Interiors International, the world’s leading commercial airline interiors publication, Business Jet Interiors International is distributed worldwide to over 8,000 buyers and key decision makers within OEMs, fleet operators, completion houses and suppliers. Packed full of in-depth case studies, the latest news and exclusive interviews with the industry’s leading innovators, Business Jet Interiors International features the hottest new interior schemes to hit the market, and the latest developments in cabin design, engineering and completion; seating and comfort; new materials; lighting; galleys and lavs; catering and inflight service; and the fast-moving world of entertainment and connectivity. 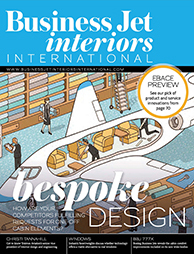 From the publisher of Business Jet Interiors International magazine and Aircraft Interiors International magazine comes this global news site, providing weekly news updates on the business jet interiors industry. The website includes news, views, recruitment listings, supplier spotlights and online access to a digital version of the latest issue of the magazine. 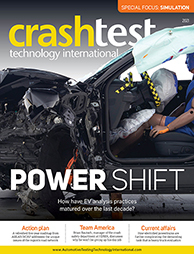 Launched in September 2004, Crash Test Technology International is the world’s first and only magazine totally dedicated to the area of crash test technology and implementation. Supported by the world’s leading crash test equipment manufacturers and service providers, Crash Test Technology International is the most significant publication for the discussion of the latest trends, developments and technological advancements in safety systems testing. First published in 1995, and now sent free of charge twice a year to over 30,000* key specifiers and decision makers throughout the global OE automotive industry, Electric & Hybrid Vehicle Technology International is firmly established as the world’s leading international showcase for technology and innovation in electric, hybrid and fuel cell vehicle design, development and manufacture. 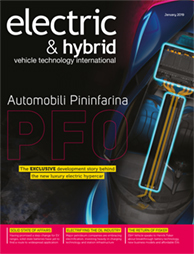 Electric & Hybrid Vehicle Technology International is now available online! This website is an essential bookmark for those working in electric & hybrid vehicle R&D and manufacturing, featuring the latest industry news, exclusive content, global job vacancies, events listings and online access to the latest edition of Electric & Hybrid Vehicle Technology International. Electric & Hybrid Marine Technology International is the world’s first publication that is solely dedicated to electric and hybrid marine technologies, from small boats to cargo shipping and naval fleets. This 120-page, beautifully illustrated publication was circulated in March 2014 to a global readership of more than 15,000 heads of engine development, R&D chiefs, vessel designers and powertrain engineers within all of the world’s OE marine engine builders and Tier 1 suppliers, as well as all major boat designers and manufacturers. 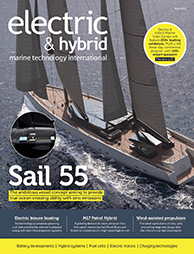 Electric & Hybrid Marine Technology International features case studies and white papers on the latest electric and hybrid powertrain systems, as well as high-profile interviews with leading figures from the marine propulsion industry. 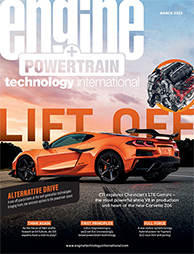 Engine Technology International is the world’s only international publication dedicated to showcasing the next-generation technology, components and development tools for the design and development of vehicle engines. The magazine is published four times a year and sent to over 12,500 powertrain engineers from the world’s leading automotive engine manufacturers. The magazine was voted the best Technical Publication/Website of the Year at the 2013 headlineauto Journalism and PR Awards. The world’s leading automotive engine magazine, Engine Technology International, is now available online! This website is an essential bookmark for automotive engineers, featuring the latest industry news, exclusive content, global powertrain job vacancies, events listings, supplier directories, and online access to the latest edition of Engine Technology International magazine. This 160-page, perfect-bound publication will showcase the proceedings of and form the perfect supplement to the hugely successful Future of Transportation World Conference. Beautifully and graphically illustrated, The Future of Transportation 2019 review will look at all possible future transportation concepts. 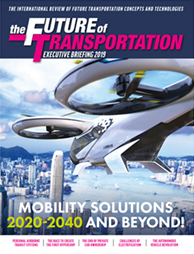 The publication recognizes that a transportation revolution is underway that will change urban landscapes and interconnecting infrastructure forever. From low-speed, personal air travel, to high-speed, intercontinental hyperloops, no area of mobility will be unchanged. 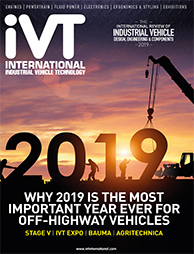 IVT International provides news-driven coverage of the industrial vehicle market, and examines the design and engineering of all classes of vehicles covered by its two sister annual reviews: editions specific to off-highway and materials handling. Updates focus on component groups, examining new product and technology advances in areas including mobile hydraulics, ergonomics, engine technology and vehicle design. This digital portal provides the latest information on the industrial vehicle market. 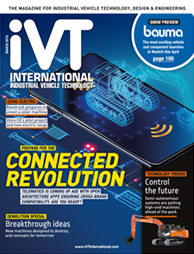 The website includes exclusive articles, weekly news updates, all the important events, recruitment, supplier directories and access to digital editions of iVT International magazine. The Industrial Vehicle Technology International Off-Highway Annual Review is the leading industry platform for components and technologies available to off-highway OEMs. 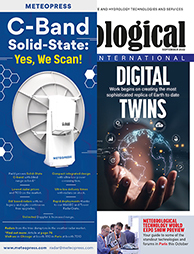 Detailed editorial features cover a wide range of subjects, from advanced concept designs to component engineering and manufacturing technology. A variety of components are featured, although particular emphasis is placed on drivetrains, mobile hydraulics and driver controls, electronics, cab ergonomics and styling. Circulated worldwide, the Off-Highway Annual Review provides vehicle manufacturers with an unrivalled guide to the latest technologies, while component manufacturers benefit from an effective marketing opportunity. UKIP Media & Events, the company that publishes Traffic Technology International, has joined forces with the organiser of Intertraffic to create Intertraffic World. 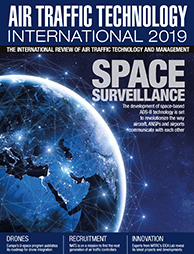 This highly technical, informative and entertaining read focuses on the major service and technology disciplines that can be found within the vast halls of Intertraffic, i.e. traffic management, vehicle safety, road infrastructure and parking. Intertraffic World will be distributed to almost 20,000 engineers, specifiers and key decision makers worldwide. 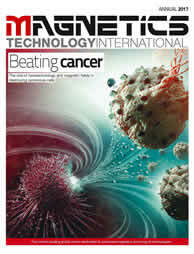 Magnetics Technology International is a fully illustrated international technology review showcasing the state of the art in design, development and application of advanced magnets and magnetised products. First published in May 2011, this global review is circulated to an international readership of 8,000 key decision makers at the world’s magnetic product suppliers: heads of R&D, testing and quality control, manufacturing chiefs and senior engineering management. With ever-increasing demands placed on magnetic products, this global review is a critical source of information, written by the industry for the industry. Marine Catering Technology International is the world’s only publication that is solely dedicated to marine galley equipment, services and waste-food management. This beautifully illustrated publication is circulated to a global readership of almost 10,000 galley equipment specifiers and designers as well as head chefs etc, within all of the world’s cruise-ship operators, ferry operators, off-shore rigs and of course naval forces. 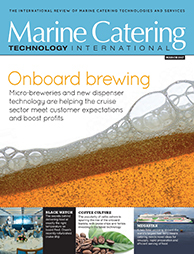 Marine Catering Technology International features case studies and white papers on the latest technologies as well as high-profile interviews with leading figures from the marine catering industry. 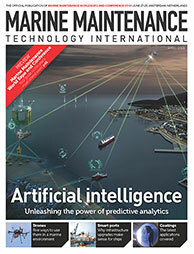 Marine Maintenance Technology International is a fully illustrated international technology review showcasing the latest developments in marine maintenance hardware, software and technologies to keep vessels and offshore facilities operational and seaworthy. Launched in March 2012, the publication is circulated worldwide to a readership of 10,000 key decision makers and maintenance equipment specifiers at marine maintenance service providers and dry docks, as well as to fleet managers within large shipping companies and navies. The marine industry needs its own definitive review of the latest maintenance technologies and developments; a publication solely dedicated to the most important aspect of any shipping/offshore platform – keeping it operational – has been a long time coming! Meteorological Technology International is the world’s first and only publication that is dedicated to the latest developments in climate, weather and hydrometeorological forecasting, measurement and analysis technologies and service providers. The publication is circulated globally to over 16,000 key decision makers within the aviation industry, shipping companies, marine/port installations, airports, military operations, offshore exploration companies, wind farm operators, met offices, agriculture operations and research institutes. Professional Motorsport Circuit is the definitive reference book for designing brand-new circuits, for face-lifting and maintaining race circuits worldwide, and for highlighting technologies that will improve efficiency, attract more race series and race spectators, plus improve safety and security while at the same time increasing revenues. It is circulated to over 8,000 key circuit personnel, decision makers and specifiers worldwide. Professional Motorsport World is the international magazine designed specifically for people at the cutting edge of automotive development. 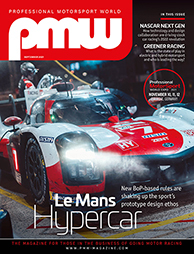 Published four times a year, Professional Motorsport World comprises news, interviews and articles covering the full spectrum of motorsport technology, issues and strategies, as well as the general business of operating within motorsport. It highlights the latest products and services available to the industry, from advanced engine technologies, chassis development, test systems and services, composite technologies, performance materials and components through paddock equipment, tracks and transportation to sponsorship and marketing. Professional Motorsport World, the magazine for people in the business of going motor racing, is now online! 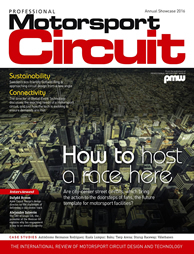 As well as a digital edition of PMW magazine, the site gives full access to PMW’s sister publication, Professional Motorsport Circuit. Supplementary images and information are also available, plus web-exclusive articles, opinion, recruitment opportunities, useful links, weekly news updates and a supplier directory. 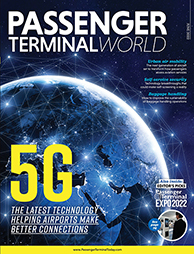 Passenger Terminal World is the industry’s leading publication providing an international communication platform for the views and opinions of experts in the field of passenger terminal facilities, design and technology. From the publisher of Passenger Terminal World magazine and organiser of Passenger Terminal EXPO comes this global daily news provider, covering recruitment, tenders, and the latest news and views of the passenger terminal industry. The website is continuously updated and includes video and audio interviews with leading figures from the airport world. 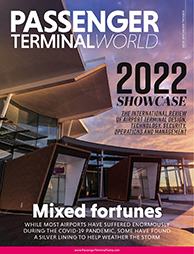 Featuring interviews with leading industry experts; a dedicated round-up of the latest airport terminal construction projects around the world; and all the latest product developments from suppliers to the world’s airports, the Annual Showcase edition of Passenger Terminal World will be distributed at all major airport shows, including Passenger Terminal EXPO, throughout 2015. 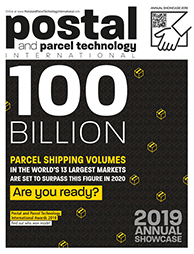 Covering a blend of world news, case studies, interviews, strategy updates, technology profiles and expert commissioned articles, Parcel and Postal Technology has established itself as the benchmark publication for the industry. It provides a global platform for communication between consultants, manufacturers, suppliers of technology and directors and senior managers of postal organisations. Brought to you by the team that produces Parcel and Postal Technology International, this online edition brings you weekly news updates, special features, industry opinion, a supplier directory with company details and contact information, an events listing and more. 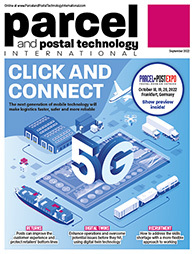 A special feature is a link to an easy-to-read online version of the latest issue of Parcel and Postal Technology International magazine. Postal and Parcel Technology International Showcase 2018 focuses on the technological and management needs of the world's posts. It contains design and technology white papers from major associations and postal services around the world. The Showcase is a fully illustrated, perfect-bound publication. 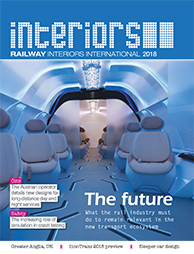 Railway Interiors International features over 100 pages packed full of the very latest news, views and case studies on railcar interior products, technologies and services. The publication is without doubt the definitive journal for specifying and designing railcars around the globe. 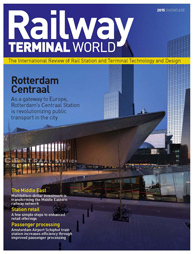 Railway Terminal World is a fully illustrated, 100-page publication that showcases the design and technologies found in modern and forthcoming rail stations, and presents them to a truly international circulation of over 8,000 board-level and senior purchasers and specifiers at the world’s rail operators. Railway Terminal World is the definitive reference book for next-generation stations and refurbishments, and highlights every facet of rail station management and operation, from architecture, passenger comfort, ticketing solutions and passenger infotainment to security, anti-vandalism measures and retailing. 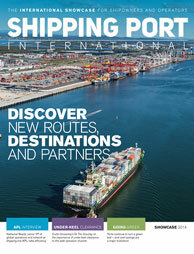 Shipping Port International, first published early in 2013, is the world’s first publication solely dedicated to showcasing the world’s shipping ports, MTOs and stevedoring companies. The 150-page report will be circulated globally to over 8,500 operations directors and voyage planners at the world’s shipping lines, from cargo carriers and tankers to industrial fleets and cruise liners. Shipping Port International will provide the ever-growing commercial shipping industry with a beautifully illustrated, highly informative reference publication that helps fleet owners and operators select the right port and service provider for their needs. 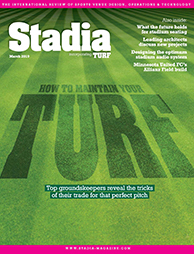 Launched in 1999, Stadia magazine is designed to bring together the views and ideas of leading experts around the world in the area of sports-venue design, operations and technologies. 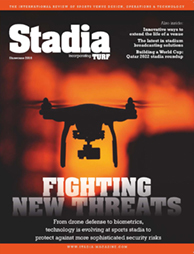 Circulated to 11,500 readers worldwide, Stadia is the indispensable journal of choice for stadium, arena and sports-venue operators in businesses ranging from football, athletics and rugby, to hockey, baseball, race circuits and more. Content includes in-depth case studies that examine the latest stadia projects; interviews with the industry’s leading players; special focuses on particular supplier sectors; and news on latest industry trends and requirements. The Stadia website provides weekly news, industry opinions, exclusive features, recruitment advertising and online access to a digital version of Stadia magazine – the indispensable journal of choice for stadium, arena and sports-venue operators across the globe. 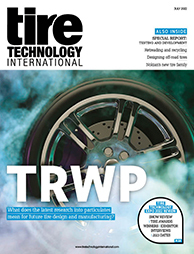 Tire Technology International is the world’s leading international publication exclusively concerned with tire design, tire materials and tire manufacturing technology. Tire Technology International is distributed in 80 countries free of charge on an individually named basis to senior executives and managers responsible for operations and capital investment programmes. The world’s leading magazine for people in the business of making tires, Tire Technology International is now available online! This website is essential for everyone involved in the tire industry, from chemists, suppliers, designers and engineers to CEOs. In addition to offering online access to the latest edition of Tire Technology International magazine, the site features the latest industry news, exclusive web content, global job vacancies, events listings, supplier directories and more. 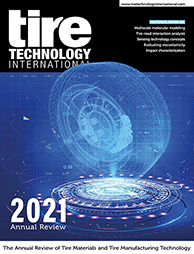 The Tire Technology International Annual Review, which was launched 1993, features research and technology papers from leading tire manufacturers, suppliers and academic institutions, covering the entire spectrum of tire and rubber research: from materials, sustainability, and tread design, to modeling, rig testing and manufacturing technologies. The Annual Review is available in English or Chinese-language editions. The world’s leading magazine for people in the business of making tires, Tire Technology International, is now available online! This website is essential for everyone involved in the tire industry, from chemists, suppliers, designers and engineers, to CEOs. In addition to offering online access to the latest edition of Tire Technology International magazine, the site features the latest industry news, exclusive web content, global job vacancies, events listings, supplier directories, and more. Tolltrans is TTi’s annual review of electronic toll collection, road pricing and toll systems technologies. 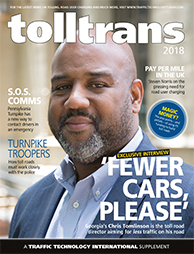 Tolltrans is the only magazine dedicated entirely to this sector of the ATMS/ITS market and represents an unrivalled and unmissable opportunity for those companies working in this sector of the industry. Published as a technical guide, Tolltrans has superb production quality and a phenomenal selection of feature reviews, viewpoints, case studies, technology profiles, white papers, interviews, location reports and comprehensive regional reports from across the globe. Tolltrans is distributed to a targeted audience of 10,000 worldwide. This publication is essential reading for anyone involved in the business of road charging and revenue collection, and presents companies active in the market with a superb marketing opportunity to what is a massive growth sector globally. 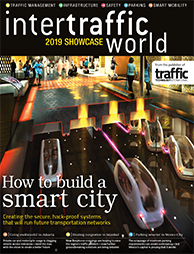 Traffic Technology International, launched in 1994, is the leading magazine in the advanced traffic management field. Renowned for its peerless editorial quality and stunning design, Traffic Technology International won the prestigious Periodical Publishers Association’s ‘International Business-to-Business Magazine of the Year’ award in May 2000. 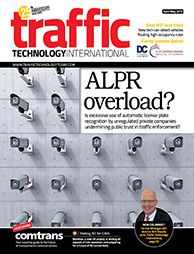 From the publisher of Traffic Technology International magazine comes this global daily news provider, covering recruitment, tenders and the latest news and views of the traffic technology industry. The website is continuously updated and includes video and audio interviews with leading figures from the traffic world. Transmission Technology International is the world’s only publication dedicated to the design, development and manufacture of automotive transmission and drivetrain systems. 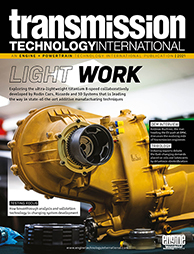 Published annually and sent directly to over 12,000 key powertrain specifiers and decision makers throughout the global OE automotive industry, with additional distribution at many of the industry’s leading transmission-related events, Transmission Technology International comprises a unique mix of news, features and interviews, together with product and company profiles. Vehicle Dynamics International is the world’s only international review of next-generation automotive suspension, steering, braking, chassis simulation and testing, and vehicle dynamics electronics and technologies. The magazine is published twice a year and sent to 10,000 senior vehicle dynamicists and program chiefs. 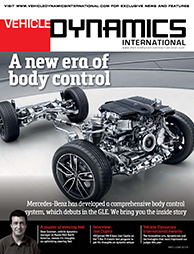 Vehicle Dynamics International magazine goes digital! The site carries web-exclusive feature articles and vehicle dynamics technology stories, plus driving impressions of the latest new cars. This is in addition to recruitment opportunities, a supplier directory, expert opinion, and the latest news from the world of vehicle ride, handling, braking and steering. 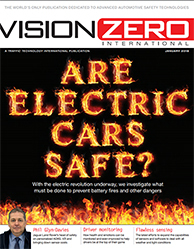 Published twice a year (January and June), Vision Zero International is the world’s first and only publication devoted to the development of next-generation active and passive vehicle safety technologies to help reduce the world’s annual 1.3 million road deaths and 50 million serious injuries to zero. Inspired by the Swedish mantra that eventually nobody should be killed or seriously injured within the road transport system, the magazine’s primary focus is on collision avoidance, with highly technical articles covering ADAS such as automatic emergency braking, stability control, 360° object detection, visible light communications, driver distraction solutions, impaired driving countermeasures, pedestrian sensing, eye gaze, lane assist, V2X communications, HMIs, and much more. Integrated passive safety systems including advanced airbags and restraints are also investigated, in addition to ADAS testing and vehicle integrity, materials and crashworthiness. Interspersed with these technical reviews are interviews with high-profile professionals from government, safety bodies, vehicle makers and Tier 1 suppliers. Mr Vision Zero himself, Sweden’s Claes Tingvall, regularly updates readers on success stories and challenges for the Vision Zero movement going forward. 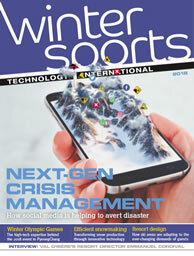 Winter Sports Technology International is the definitive International publication for ski resort design and technology. From access control, ski lifts, safety systems, and timing technologies to architecture, maintenance technologies, snow grooming and snow-making systems, Winter Sports Technology International features interviews with the industry’s key figures, plus in-depth case studies on the latest venues and technologies.